Malaysian banks’ asset quality is likely to deteriorate as the economy slows over the next two years, but the non-performing loan (NPL) ratio isn’t expected to rise to levels seen in past downturns, says Japanese investment bank Nomura. “We’re going into a phase where economic growth is going to slow. And in any downturn, you’re bound to have NPL formation. We think credit charge-off will most likely go up because banks have been enjoying a very benign environment where you have strong recoveries, very low NPL formation. So, I think, coming off a low base — credit charge-off rates fell to near historical lows in recent years — is where banks are at right now. 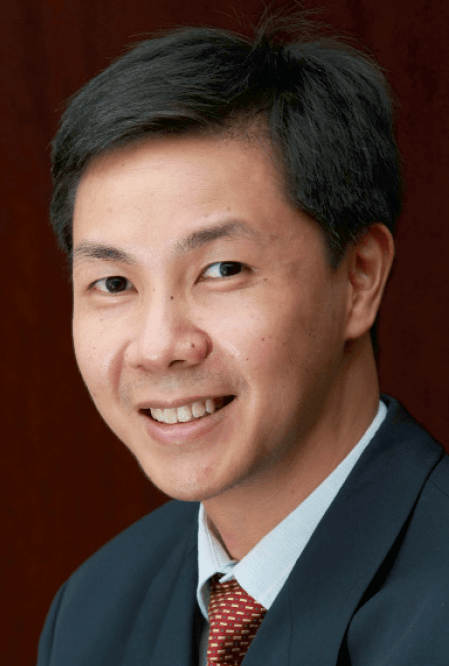 But I don’t see NPLs reaching the peak of the 2008/09 levels,” Julian Chua, its Kuala Lumpur-based analyst who tracks Malaysian banks, tells The Edge in an interview. 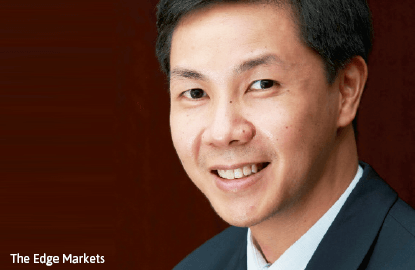 Chua, who has been covering the Malaysian banking sector for close to 20 years, has seen it go through two major downturns. The sector’s gross NPL ratio crept up slightly to 1.6% as at August this year, compared with 1.56% earlier in April. During the 1997/98 Asian financial crisis, the ratio jumped close to 20% (in early 1999) from 3.7% as at end-1996, before starting to improve. The gross NPL ratio stood at close to 6% in early 2008, but it should be noted that despite the 2008/09 global financial crisis then, the ratio had continued to improve. These days, despite the weakening economic conditions, their asset quality has held up quite well, he says. Nomura’s view is that Malaysia’s GDP growth will slow to 5% this year after last year’s 6%, and then slow further to 4.3% next year. “Based on what we can see, asset quality has been holding up very well. In terms of the household side, the household savings rate is still pretty good. And if there is a rise in unemployment rate in the country, those affected could fall back on Employees Provident Fund savings. “As for corporates, the gearing level for corporates is still manageable. According to Bank Negara Malaysia, the average net gearing is less than 50%. And if you look at the trend from the past few years, we’ve not really seen a major build-up in corporate debt,” he says. That however doesn’t mean that banks aren’t keeping a close watch on their asset quality. “I wouldn’t say there’s nothing to be concerned about. Obviously, banks are more vigilant now because they want to make sure that they stay on top of things. They are stress testing their books under various scenarios — like, what if the ringgit weakens further, or if oil prices drop further — to make sure that capital levels are adequate. You know, the worst situation you want to be in is when things go down and you are short of capital. “But the banks, having done their stress testing, seem to be pretty comfortable where they are. Overall, what’s changed from 2008 to the current day, is that the capital levels have all gone up,” Chua points out. Chua says his biggest concerns for the Malaysian banks today would be more that revenue growth will slow and that loan growth numbers will come down. This year, loans may grow “anywhere between 8% and 9%” after 9% in 2014, and 10.6% in 2013. “And then going into next year, again, you would see that moderating trend [continue]. This is because what has been holding up loan growth so far is the mortgage segment. If you take away the mortgage business, the underlying growth trend for loans is really in the region of 5% to 6%,” he says. He says the mortgage business has been doing well, but will slow as banks become more strict with loan approvals. “For mortgages, the banks are still seeing drawdowns on loans which they approved in the past two years. As you know, to construct a house takes several years, so there’s a progressive drawdown of loans, and that’s where the mortgage growth is still doing pretty well, at about 12% growth year on year. But if you look at the pipeline going forward, banks are now more cautious in terms of loan approvals, and also, I think consumer sentiment is also now not as strong as it used to be in the last year or two years,” he points out. Bank Negara’s latest statistics show that loans in August grew at a surprisingly faster pace of 8.2% on an annualised basis compared with 7.2% in July. Loan growth for residential property fell to 12.2% year on year in August compared with 12.7% in July, while loan approvals for that segment declined by 17.5% compared with a decline of 17.8% in July. Meanwhile, banks’ margins will continue to be squeezed as they compete more actively for retail deposits, creating upward pressure on funding costs. In the first half of this year, banks saw a “significant” dip of between 15 and 20 basis points in their net interest margins, Chua notes. The continued weakening of the ringgit against most other currencies isn’t expected to have a big impact on banks, seeing as most of their operations are in Malaysia. “If it causes an outflow of capital, then there is less liquidity in the system, which means banks will need to compete harder for deposits, which could result in an increase in funding costs. But we’re already seeing that. Apart from that, if there is a lot of currency volatility, it may affect consumer and corporate spending, thereby negatively impacting loan demand. “The other impact is actually a positive one, because banks like Maybank (Malayan Banking Bhd), CIMB and Public Bank have overseas businesses. A weakening of the ringgit actually benefits their overseas subsidiaries, so when you translate it back into ringgit terms, you see a lift in terms of loan growth as well as profits earned from overseas,” he says. Chua expects banks’ earnings growth to be muted over the next two years. It will likely be “mid-single-digit growth” for the top six banking groups by asset size that he covers, he says. Like most analysts, Chua has a “neutral” call on the sector, his top buys being Maybank (for its strong current account-and-savings account deposit franchise) and Hong Leong Bank (for its low loan-to-deposit ratio and strong asset quality).